When people like some products and categories, we take note. We use this intent data to target users who may buy your product. Reach your customers in the areas where they live or where they do business with you. We have automatically segmented users based on high value and low value, by categories and so forth. Run campaigns specific to those segments to drive better results. Snapdeal enables you to reach customers based on purchased history and target them with related product and categories. 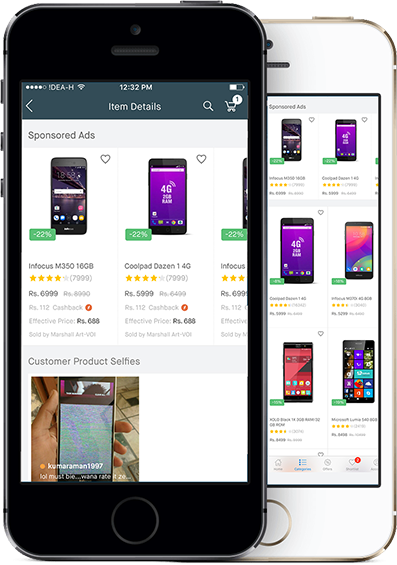 Snapdeal Ads features a fully self-service platform for sellers to run their targeted product ads for Snapdeal customers across m-site, App and web properties. A fully self-service platform allows sellers or advertisers to be able to create, manage, pause, delete or optimize campaigns anytime they want. Sellers can target ads by selecting specific products, specific geographic locations across India as well as by selecting specific categories or audiences they want to target. Snapdeal Ads allows product ads to be served as both Cost Per View (CPV) as well as Cost Per Click (CPC). Each kind of ad has a feature attached with CPV being the more premium that allows audience targeting using Snapdeal’s DMP as well as Retargeting. Remember, CPV campaigns are charged per view which means every time your customer sees your ad in the CPV ad unit, you will be charged. Typical CPV Pricing is about Rs 15 per thousand impressions (I.e. 15 paisa per view). CPV Ads are shown on the Product Display Page (PDP) as “Ads based on your interest” widget. Snapdeal sellers can also leverage Snapdeal’s powerful Data management platform (DMP) to target users with intent or purchase history. Target customers who bought home appliances (and sell them other home appliances). Audience targeted ads are only available for Cost Per View (CPV) ad units which means that you will pay per view instead of pay per click. Retargeting is a feature of Cost Per View (CPV) campaigns by which any products that your customers saw, and clicked automatically start following your customer. This happens over several days and this enables Snapdeal to more aggressively position your product to the customer who has expressed interest in buying it. Retargeting is automatic, when your campaign is of type Cost Per View (CPV). 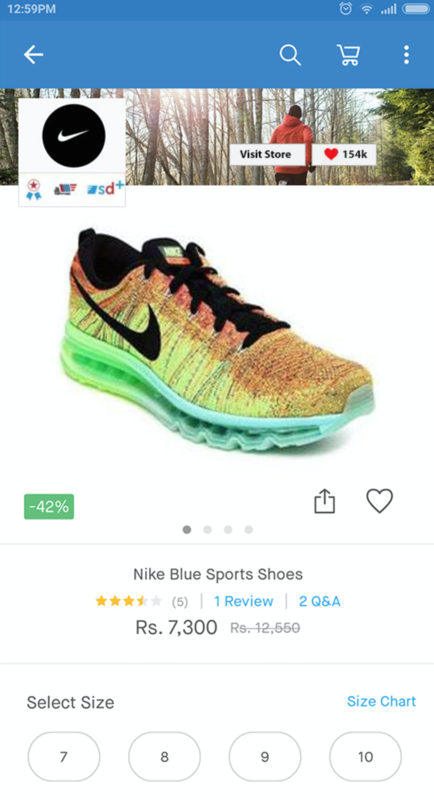 All ad clicks now take users automatically to your seller store. A seller store is a store created with your products. Most seller stores are created automatically. However you can customize and manage your own seller store so that you can drive higher sales on your store. This means that users will not see any other assortment when the ad is clicked. Snapdeal ads now supports recurring campaigns as the default choice of campaigns. With this feature, advertising is not disrupted if campaigns run out of budget. By setting a weekly (more options coming) recurring top-up of an amount, once the campaign amount is exhausted, campaigns will automatically debit from your COD balance to add to the campaign budget. So for example if you set Rs 5000 as your weekly budget for your campaign, upon exhaustion of the budget - your COD balance will automatically be debited by Rs 5000 and your campaign will continue to run. We participated in a paid campaign around Rakshabandhan. To our surprise, we got booming figure of sales, even more then promised. Would surely take it again. Using seller advertising, we could reach out to the masses, promote our brand and increase sales. Thanks to Snapdeal and their team for introducing and hand-holding us to success with this service. We almost made a 300% leap in our sales because of Snapdeal advertising. We could get good sales even for newly listed products which were not clocking high sales figures.